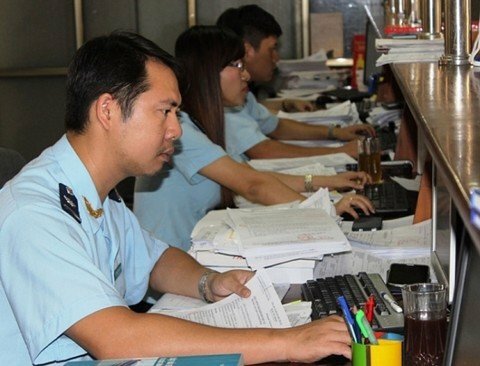 According to the statistic from General Department of Vietnam Customs, up and until 18/3/2019, there was 13/35 Customs Department having achieved over 1 thousand billion VND of revenue collection. Accordingly, leading is HCM City Customs Department with a contribution to State revenue of 22.353 thousand billion VND; Hai Phong Customs Department achieved 13.84 thousand billion VND; Hanoi Customs Department is 4.359 thousand billion VND; Ba Ria – Vung Tau Customs Department attained 3.422 thousand billion VND; Dong Nai Customs Department is 3.709 thousand billion VND. Followed by Binh Duong Customs Department with the collected revenue of 2.851 thousand billion VND; Thanh Hoa Customs Department, 2.253 thousand billion VND; Quang Ninh Customs Department, 2.138 thousand billion VND; Khanh Hoa Customs Department achieved 1.221 thousand billion VND; Bac Ninh Customs Department contributed 1.919 thousand billion VND; Ha Nam Ninh Customs Department collected 1.688 thousand billion VND; Ha Tinh Customs Department collected 1.683 thousand billion VND, and finally Quang Nam Customs Department collected 1.557 thousand billion VND. The reason is that thanks to two main import items, which are petroleum and automobiles. For example, at the HCM City Customs Department, the volume of imported cars in the first 2 months of 2019 increased noticeably compared to the same period in 2018, reaching $US 75 million, increasing by 1,119% compared to the same period in 2018, only reaching $US 6,688 million. 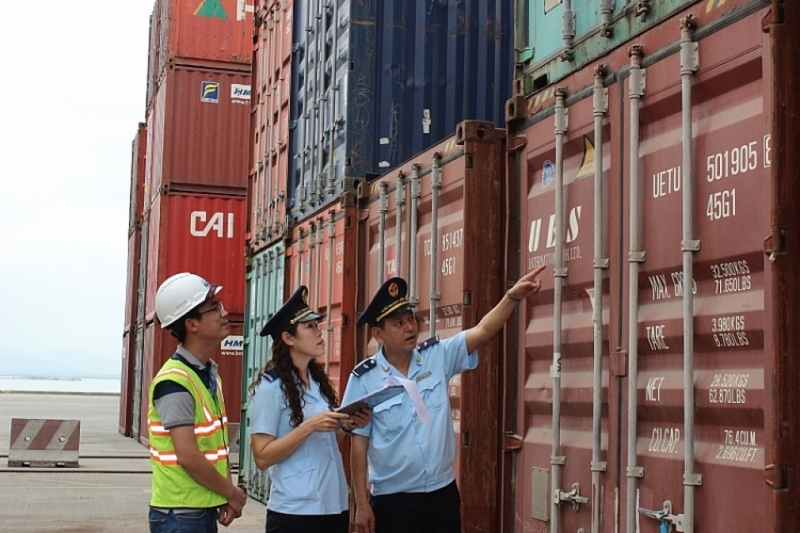 At Hai Phong Customs Department, in the first 2 months of 2019, automobile import turnover increased more than 12 times over the same period in 2018, which helped the revenue collection at Hai Phong Customs Department increase sharply compared to the same period in 2018. In the first 2 months of 2019, automobile products contributed 32.3% of the total revenue of the Department (3,633 billion VND/11,251 billion VND). At Thanh Hoa Customs Department, in the first 2 months of 2019, the state revenue increased more than 10 times over the same period in 2018 thanks to imported petroleum products. According to the assessment, in 2019, the revenue collection of the Customs sector will continue to be affected by the deep reduction of excise duty from FTAs, including CPTPP Agreement that is valid from 15/1/2019, that will cause a huge impact on revenue collection of the Customs sector. Furthermore, another important factor is petroleum. At the beginning of 2019, petrol fell sharply in both quantity and price; because the Nghi Son refinery and petrochemical plant has come into operation and already put products to the market, so the amount of imported petrol has dropped sharply. The price of imported petrol and oil in the early days of 2019 fell sharply compared to the estimate (the cost estimate is 65 USD/barrel, in the first months of the year is only around 50 USD/barrel). Along with that, the preferential tariff policy applied for imported automobile components serving for domestic assembly and production continued to be implemented ... Therefore, in order to complete the state revenue target of 2019 is a major challenge for the Customs sector due to various factors causing decrease of revenues having appeared as mentioned above. Recognizing the difficulties affecting the state revenue, the Customs sector has been drastically implementing all measures to prevent loss of revenue and implement revenue collection. In each locality, every Customs Department has developed its own action program depending on the economic situation in each locality, the units have proposed solutions in order to exploit and manage revenue well, striving to fulfill assigned targets, and to not owe outstanding debts. Keeping close to the key tasks of the sector, at each local customs, it is determined that the State revenue collection tasks must be well implemented in order to facilitate businesses, promote administrative procedure reforms, modernize management to maximize convenience for the enterprises.